The main objective of the MADAM project (Mangrove Dynamics and Management) is to generate the scientific basis enabling the sustainable stewardship of the resources of the Caeté mangrove estuary in Northeast Brazil in the sense of integrated coastal (zone) management. To achieve this, it is necessary to acquire in-depth knowledge of natural processes as well as of the relevant institutional, cultural, economic, social and political dynamics. Causal linkages within the ecosystem, as well as between ecosystem, economy and society, are analysed and explained via dynamic and trophic modelling. 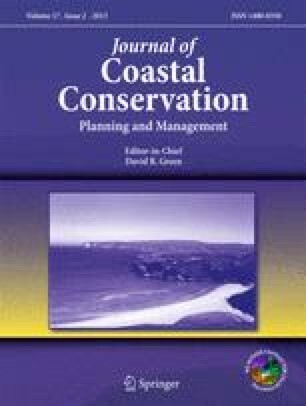 Scenario construction is intended to forecast the effects of acute or chronic interference on utilized resources, and to answer wider, management-related questions (e.g. restoration of destroyed areas, utilization potential for aquaculture). This paper describes the project strategy as developed and modified in the context of research results from the initial 2-yr project phase. It is argued that a continuous discussion process is essential to assess the validity of the strategies formulated at the beginning of a medium-time project, particularly if the project is of interdisciplinary nature.